Don't settle for mediocre defense when your future is on the line. If you have been arrested for or charged with a crime anywhere in the state of New York, you are probably starting to face some very scary realities. One of those realities may be that it a fair and just result has not yet been presented to you. This possibility is especially likely in cases in which you have been falsely accused, your civil rights have been violated, or you have been wrongfully arrested. The justice system can be overwhelming, but actually experiencing the repercussions of the law's heavy hand can be devastating to your future. You need to hire a lawyer who has the trial skills, legal experience, and professional tenacity to protect you if negotiation or settlement fails. Our New York-based criminal defense law firm has earned a reputation for being able to build successful, persuasive, and compelling defense strategies for clients facing even the toughest charges. If you or someone you love has been arrested and charged with a crime in New York, you deserve the best possible defense at this time. Do not settle for mediocre representation when your future and your freedom are on the line. 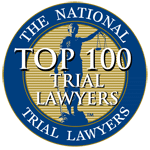 Some of our proudest achievements stem from trial success and relentless client advocacy. Few things give us a greater sense of satisfaction than knowing that we have done everything in our ethical and professional ability to help our clients regain control of their lives after a difficult criminal case. Aside from our client victories, settlements, and verdicts, however, we have achieved other noteworthy accomplishments. Our founding criminal defense attorney in New York, Richard Southard, also proudly engages in volunteer work. Your future is at stake. Call us today! Do you want to learn more about how we can be of assistance in your particular case? Start your defense off in the best way possible. Retain the Law Office of Richard Southard today. Don't wait another moment to contact our firm and schedule your free case evaluation ! Our firm proudly serves individuals throughout all five boroughs of New York City: Manhattan, Brooklyn, Queens, the Bronx, and Staten Island.